A nice article about two Subaru racing technicians that were asked what mods they would put on a 2012 Subaru WRX for street. Subaru’s new entry into the Super GT race series. Good luck lil BRoZ! 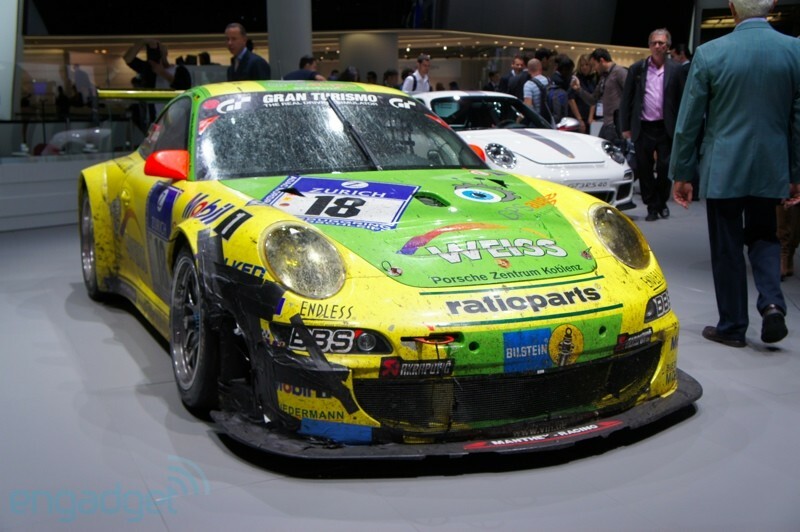 Porsche flaunts its racing heritage by displaying a battle scarred racing car at the 2011 Frankfurt Motor Show. It looks like it just came straight from the race. I think it is beautiful.